Dallas has a new startup accelerator—this one to boost innovation in real estate. Real estate—the spaces in which we live and work—is a fundamental part of our lives, but the industry has largely been untouched by technological innovation, Motive’s co-founders contend. That’s something they want to help change. So far, nearly 40 startups have applied for five slots in the program that starts in September. Motive will invest $40,000 in exchange for between 6 percent and 10 percent of equity. A demo day is planned for November in conjunction with the DisruptCRE conference, which takes place this year in Dallas. Motive’s startups will be among those seeking to leverage technology to impact the real estate industry, beyond seeking and searching listings on the Web. Recently, a number of Texas-based entrepreneurs have gotten some traction. TheSquareFoot relocated from Houston to New York in April after raising $2 million in seed funding. In May, Austin, TX-based RealMassive raised $10 million in Series A funding from investors such as RHS Investments, Capital Factory, and Hurt Family Investments. 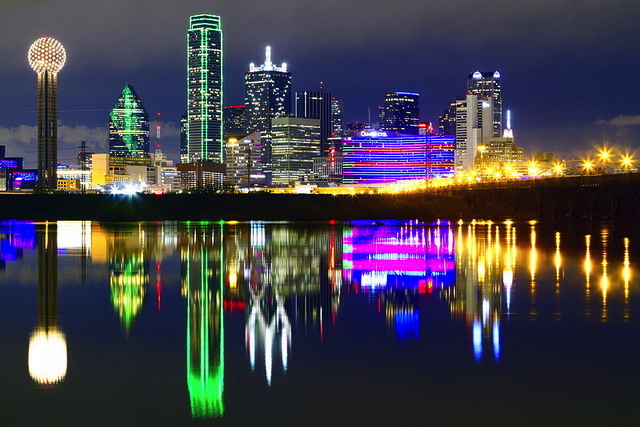 Creating a hub of real estate and technology professionals in Dallas makes sense. The city is home to a large group of executives at top real estate firms such as CBRE, which acquired Dallas-based Trammel Crow in 2006; Jones Lang LaSalle; and Cushman & Wakefield. In general, Texas is a developer’s dream, with real estate projects barely hitting a bump during the credit crunch of the Great Recession. “Most of the personal private wealth here was made in real estate,” Backes says. Many of those developers are now investors in Motive, Backes says. They’ve also signed up to be mentors for the upcoming class. “Part of our mission is to take what Dallas is best in the world at, real estate, and combine it with the most potential, which is technology; and we’re going to make beautiful things,” he adds.